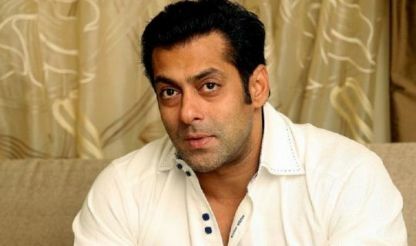 By now, everyone is aware of the legal problems which Bollywood superstar Salman Khan faces. In recent times, makers of the upcoming movie ‘Kick’ are facing problems due to the actor’s legal troubles. The movie’s cast and crew is currently in the UK, waiting for the lead actor to arrive, but Khan’s visa was rejected by the British Embassy last week. The actor applied for visa for the second time and luckily, managed to get it, but despite that, the superstar is still in India. The movie’s shoot was scheduled to begin on July 28, 2013, but it has been delayed indefinitely. For now, the situation does not seem like it is going to improve, as the next hearing in the hit-and-run case is supposed to be held on August 19, 2013. The producer of the movie, Sajid Nadiadwala, flew to the UK during the last week of July 2013 and has been waiting for Salman along with the rest of the cast and crew ever since. Salman’s father, Salim Khan said that the actor will be leaving for the UK on Sunday, August 11, 2013 or Monday, August 12, 2013. Salman also has a hearing due and if he does not get a court exemption, then he will have to return back to India for the hearing.